Eryk Donovan and Andy Biersack reveal cover for upcoming Z2 Comics release The Ghost of Ohio. 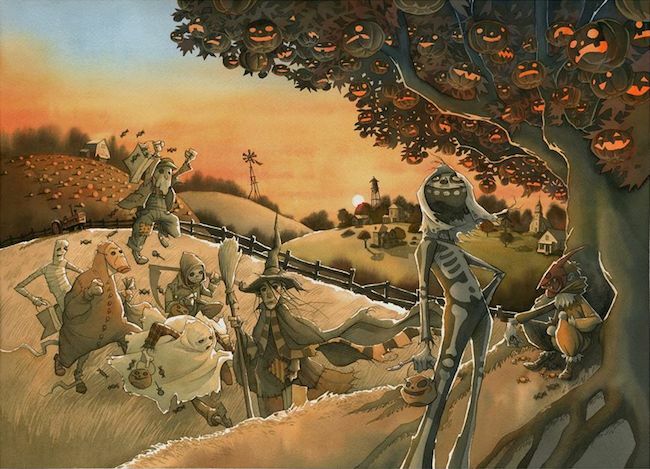 Gris Grimly’s Dust Jacket for Knopf’s new “The Halloween Tree” edition. I’d like to kick off October with a look at a book I ordered as a birthday gift for myself last month. Ray Bradbury’s The Halloween Tree remains my favorite autumn tome since I first purchased the Ballantine paperback edition back in 1972 and read it in one sitting. 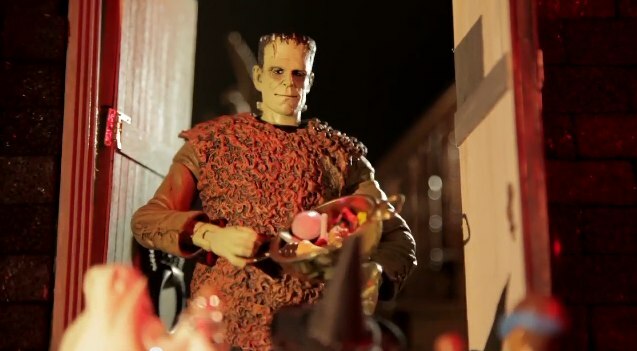 It is a wonderful rumination on the origins of the witching season wrapped in a quintessential Bradbury “boy’s tale” (or what we now call young adult fiction). 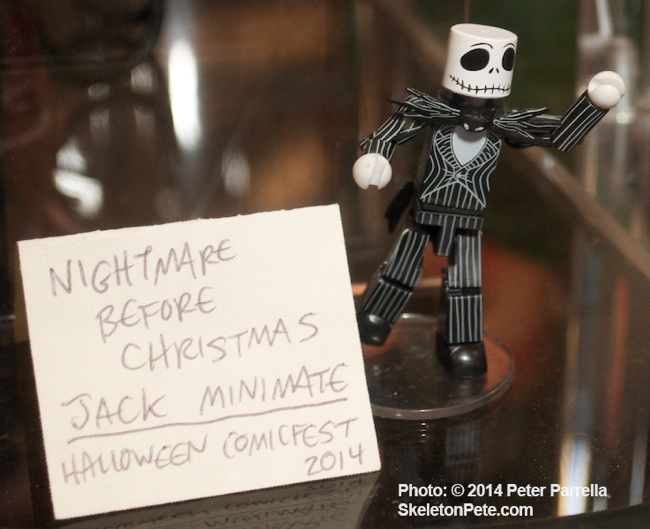 Originally conceived as a screen treatment for an un-produced Chuck Jones cartoon, each of its characters learns the history and significance of their respective costume as they travel through the Samhain night on a quest to save a friend. 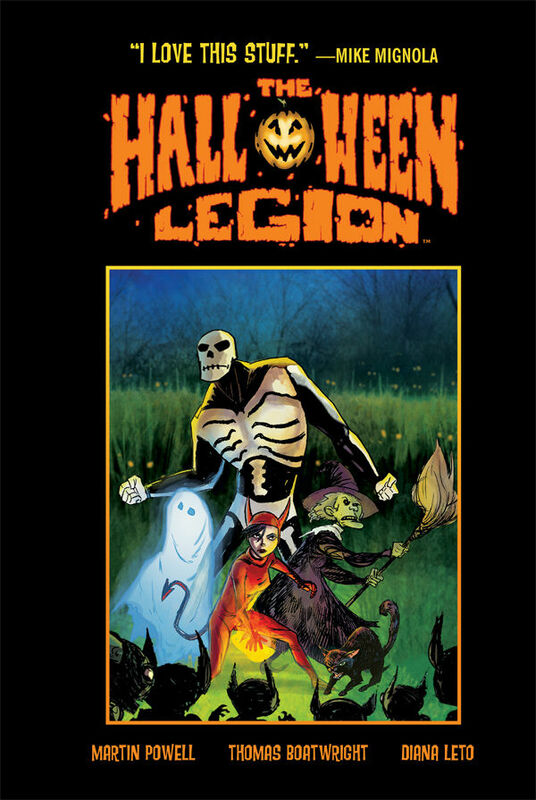 This year Dark Horse Books, in conjunction with Sequential Pulp Comics, serves up a delicious dose of all hallows entertainment with the publication of The Halloween Legion, a graphic novel that will join my small stack of October 31st favorites. Penned by Martin Powell with art by Thomas Boatwright and Diana Leto, the 80 page hard cover is a full color, beautifully rendered and action packed, romp through fall’s amber dusks and indigo twilights. The book’s dedication to Ray Bradbury, who Powell describes as its “spiritual godfather,” is no surprise as its feel is quite reminiscent of the recently deceased author’s work in all the best of ways. 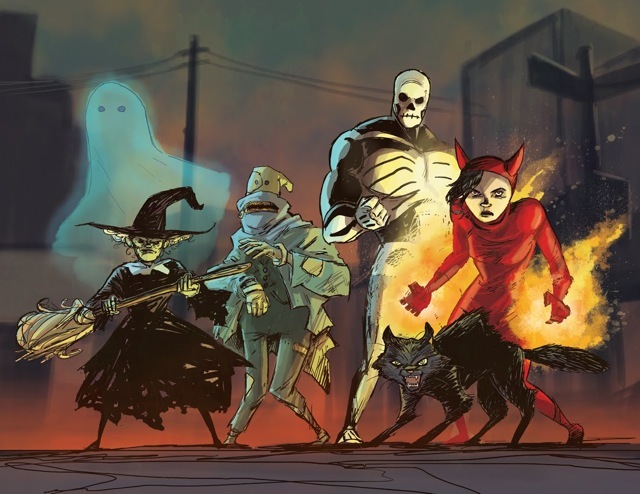 Thomas Boatwright’s Art of The Halloween Legion Assembled, with “Rag Golem” Thurston. Split into two stories, the core of the volume is “The Great Goblin Invasion,” follows the exploits of a quintet of shadowy seasonal icons. Powell’s Witch, Skeleton, Devil, Ghost, and Black Cat are all endowed with special powers and very iconoclastic personalities. These odd-ball avengers team up to protect the town of Woodland against the titular “goblins” who are in reality space invaders. 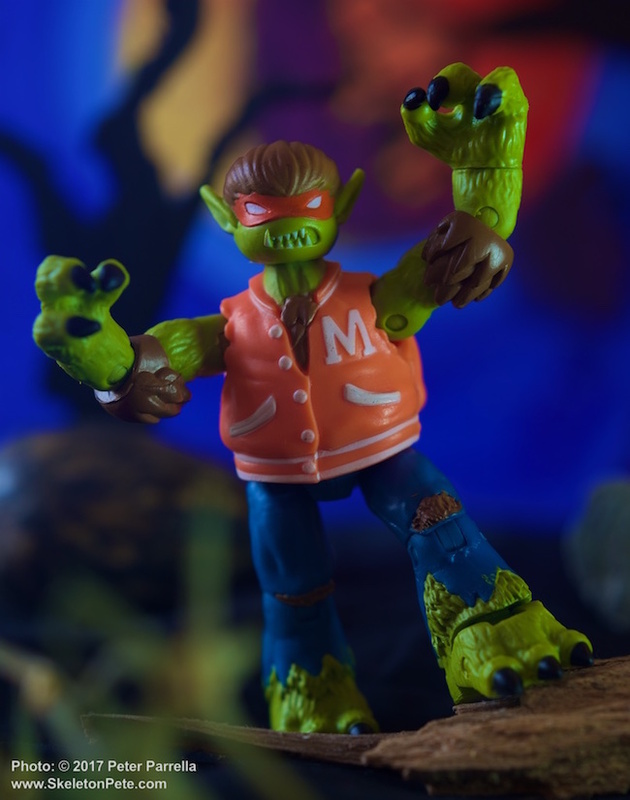 Part two, “Once Upon A Halloween,” is an autobiographical yarn which recounts an eerie event that spawned Powell’s creation of the Legion. 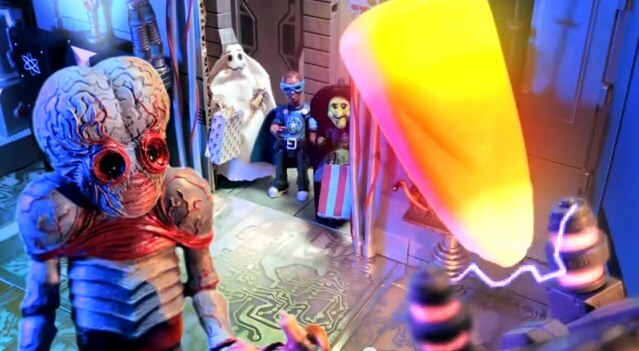 The Halloween Legion is an excellent blend of classic spooky imagery with just the right amount of superhero and sci-fi spin to keep 21st century kids interested but not up all night with the frights. Martin Powell, Diana Leto and Thomas Boatwright all have their own blogs where you can view and read more of their work. Leto and Powell have just begun the weekly subscription comic strip The Cave Girl over at the Edgar Rice Burroughs Website, while Boatwright is taking Halloween themed art commissions.